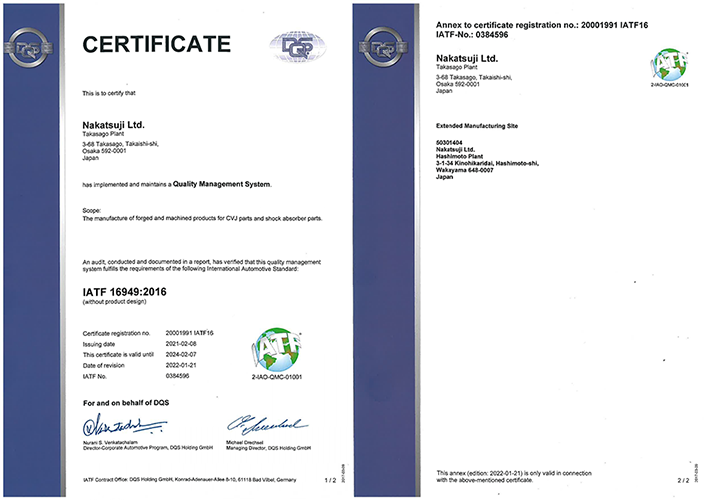 ISO/TS16949:2009 The Senboku Takasago Plant obtains ISO 9001: 2008 certification, as well as ISO/TS16949:2009 certification for the scope of manufacturing of forged and machined parts for CV joints. Our passion for precision forging enables our commitment to a stable supply of products having a global standard of quality. 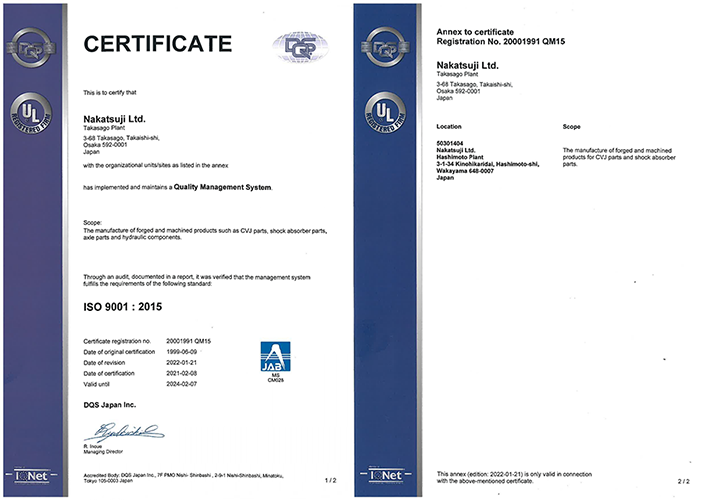 We plan to upgrade our ISO/TS 16949: 2009 quality management system to meet the demand of the IATF 16949: 2016. We have undergone an audit for this QMS in November 2017, and expect to be certified for this by February 2018. A: Strive for quality improvement of our products and operations to satisfy customer needs. B: Review the Quality Management System regularly, and continuously improve its effectiveness. C: Provide products with added value, while satisfying statutory and regulatory requirements. D: Emphasize the importance of individual awareness in trying to improve quality control.